Goodbye to Apple’s White MacBook? Following last weeks’ rumors saying that Apple was planning on updating the white MacBook, today the device is no longer available on the online store. Is this goodbye? CNet reports that after the announcement that Apple made today regarding the new MacBook Air and Mac Mini, the online Apple store took out the white MacBook, which was available until now at a price of 999 dollars. However, people who are still looking to buy one, can find it in Apple’s refurbished market for 849 dollars. The basic MacBook was first released on May 16, 2006. It had an Intel Core Duo processor, a dispay of 13.3 inches, 667 MHz, 512 MB, a hard drive of 60 GB or 80 GB, and the Mac Os X 10.4.6 operating system included. It weighed 5.2 lb (or 2.4 kg). 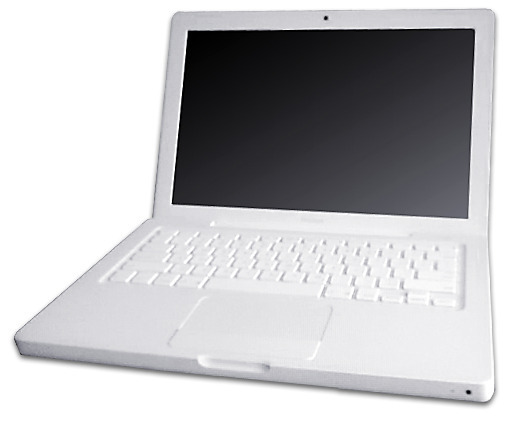 The White MacBook was first released on October 2008, having a 2.0 Intel Core 2 Duo processor, 800MHz, the same 13.3 inch display, double the memory and the hard drive and having the Mac Os X 10.5.4 operating system included. The most recent model was released on May 18, 2010. It has a 2.13 Intel Core 2 Duo processor, 800MHz, the same 13.3 inch display, memory of 2GB, 160 GB hard drive and having the Mac Os X 10.5.6 operating system included. Earlier today, waving the white MacBook goodbye silently, Apple released the new and improved models of MacBook Air, which are equipped with Intel Core i5 and Core i7 dual-core processors. Their price starts at 999 dollars.